David Bowie was born in Brixton, raised in Bromley and created a musical icon in Beckenham. A piece of public art to celebrate the creation of a superstar from Beckenham beginnings. There has been a long standing community desire to recognise David Bowie’s connection with Beckenham. Bowie lived in Beckenham for five years in his early twenties. During his time in Beckenham Bowie created Major Tom, he is said to have thought of the lyrics of Space Oddity whilst sitting on the 54 bus to Lewisham going down Beckenham High Street. Bowie and friends set up the Beckenham Arts Lab, which performed in the Three Tuns pub (now Zizzi’s). The Beckenham Arts Lab held the legendary 1969 one-day free festival in Croydon Road Recreation Ground. This project will commission a piece of public art to celebrate Bowie’s connection with Beckenham and to specifically recognise Bowie as he was when he lived in Beckenham. The artwork and installation will be innovative and unique, a statement piece in pride of place in the town. We are working with local artist Dan Pearce to create an iconic image with movement and light that will be installed on a building wall. Install an innovative piece of public art in the heart of the town. This project will enhance the cultural heritage of Beckenham and celebrate Bowie’s Beckenham. Hosting this piece of public art will put Beckenham on the map and deliver increased civic pride. It will offer Bowie fans from far and wide pay an opportunity to pay homage to his memory through this piece of public art celebrating his roots in Beckenham where Ziggy Stardust was created. The project will design and install an innovative and unique piece of public art that will improve the local environment. It will make the town centre a more attractive place for residents, business and visitors. Increased footfall that will boost the local economy is anticipated. It may also attract other investors or buyers to the area, further increasing area quality and site values. The project will compliment the TfL Public Realm Improvement Scheme currently underway. Undertake detailed site survey for lenticular and sequin disks installation. Commission Council to undertake lighting installation. Determine most appropriate medium. Set up installation project plan. We want this project to be aspirational and to deliver cutting edge large-scale public art on a perfectly executed small scale. Public Art Installations in airports and large public buildings have been the inspiration of this project…. The mantra of this project is “think big and scale down”. Two installation mediums have been researched and costed. Lenticular - two images of Bowie, as you walk past the installation the images move from one to the other (similar to the moving image bookmarks popular for children in 70’s and 80’s). Sequin disks - An image of Bowie is created by hanging many small round pre-printed round disks to the wall. This gives a unique shimmering effect. A detailed site survey and installation study must now be undertaken to determine the most appropriate medium for the site. The final artwork design will be shared once agreed with the local community and Council. Art work installation including neon lighting. Scaffolding, frames, fixings, sundries as required. 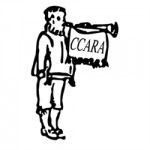 The Copers Cope Area Residents Association (CCARA) was founded in 1935 to protect and promote the interests of residents on matters of local concern. It is open to anyone living in or near Beckenham to join. The Association is an adovocate for Beckenham Green having spent many years working to improve the Green and increase its community use. CCARA run Beckenham Green Friends (gardening volunteers) and organise Market On The Green (a community non-profit local produce and craft market). The Association is the Chair and one of the founding members of the Town Centre Team (TCT) for Beckenham. The TCT brings together Beckenham businesses, local residents and the London Borough of Bromley (Council) to work together on the vitality and betterment of Beckenham Town Centre. 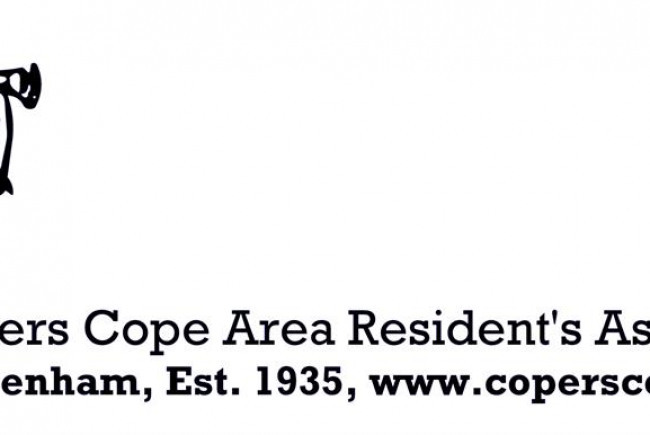 Project Delivery Manager: Copers Cope Residents Association The Project Delivery Manager takes legal responsibility for receiving and spending the funds raised and ensuring the project is delivered.